The Japanese consumer electronics giant, Sony has officially announced a new addition to its α series of digital SLR category, named as Alpha DSLR-A200. This new digital SLR will include some amazing and high-tech features including 10.2-megapixel APS CCD sensor, Sony’s Bionz processing engine, Dynamic Range Optimizer (DRO), Super SteadyShot (sensor-shift image stabilization), noise control for ISO up to 3200 as well as an 2.7-inch (230,000 pixels) Clear Photo LCD screen for easy playback viewing, aiming at mainstream photographers. 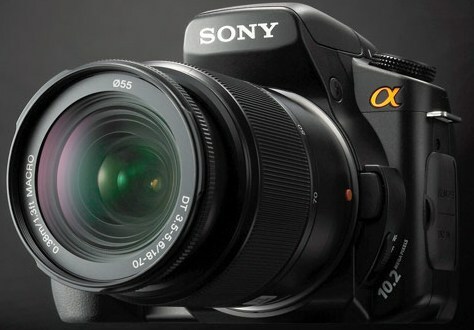 According to the company, the Sony Alpha A200 will be faster and easier to use than its predecessor – Alpha A100, and lighter in weight too. The latest Sony Alpha DSLR-A200 camera will be available in coming February for around $700 with the standard 18-70 mm lens. Besides, you also can adds $200 more for a dual-lens kit which adds the 75-300 mm f4.5-5.6 lens.